Alan has been with Gill Insulation since leaving school in the 90’s & has always been a highly valued team member. 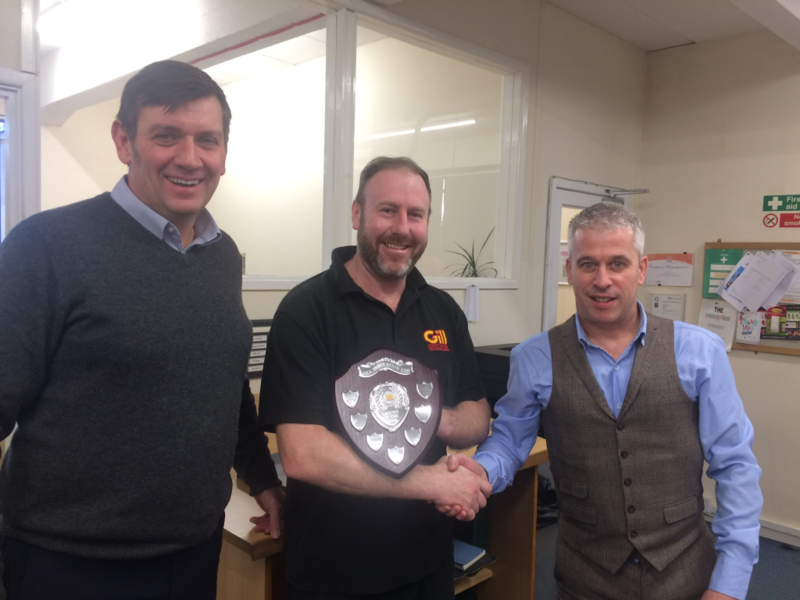 The Lagger Of The Year award is presented to the Engineer who receives the most votes from their colleagues in the annual vote; both site operatives and office staff are entitled to vote. Alan was successful in winning the award, despite having two broken wrists after taking a tumble from a scaffold, so we wish Alan a speedy recovery as well as congratulating him on his win!! He is pictured above with Warren Stockbridge, Contract Director (left) & Richard Drew, Managing Director (right).